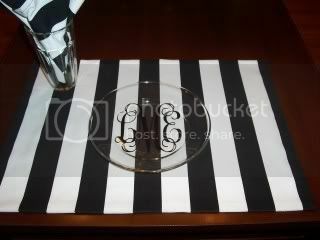 These placemats in black and white Canopy Stripe make a striking table setting! This is a nice heavy weight cotton fabric. 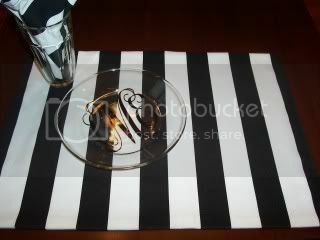 The placemats are reversible and measure approximately 13x 19 and the napkins are available in 16 and 20 square. 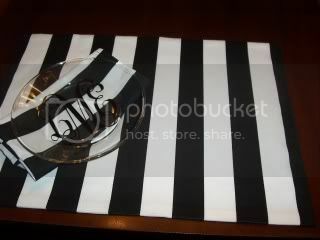 Napkins are hemmed with mitered corners. Each stripe is 1.5 in width. Coordinating window treatments are also available.